While there have been plenty of terrifyingly realistic card skimmers in the past, we have bad news for you: the latest breed of skimmers are so thin that they're inserted into the ATM, so you can't see them at all. Krebs on Security rounds up a handful or recent reports, and the news makes for grim reading. 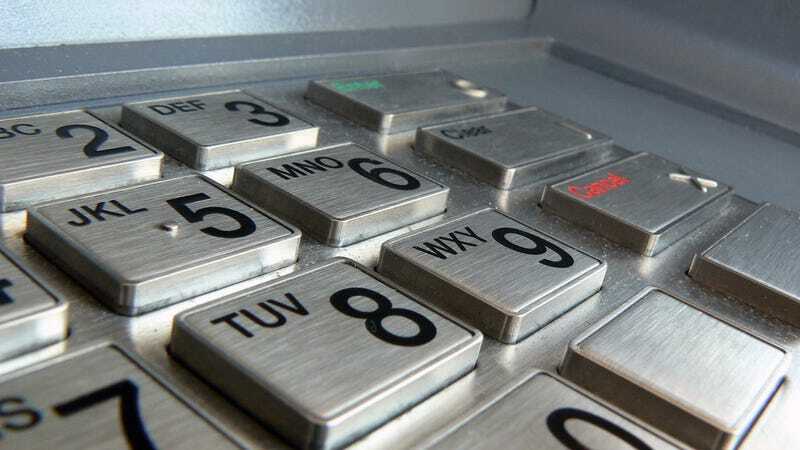 According to the European ATM Security Team, the latest ATM skimmers are in fact wafer-thin card reading devices, which are inserted up inside the card acceptance slots of cash machines. You can't even see they're there. Of course, the good news is that these kinds of insert skimmers need to be able to record your PIN as you type it in—and that requires some secondary recording device. Usually that's a keypad overlay, or a tiny camera, so there are still clues to look out for as you take out your cash.